Before the introduction of uniforms, air raid wardens wore their ARP lapel badge, helmet and an armband (also called brassards or armlets). ​See this page for Fire Guard armbands. 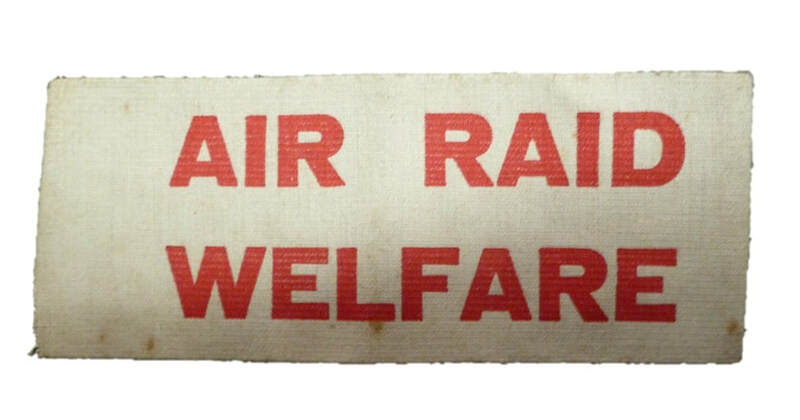 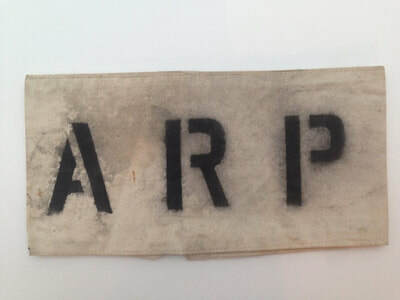 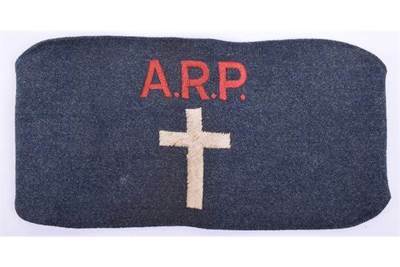 Many of the early armbands for air raid wardens simply featured the letters ARP. Some had Warden added or even the local authority's name. This were usually made printed on coloured or plain cotton material. There were armbands written with SHELTER MARSHAL for those who organised large capacity air raid shelters. 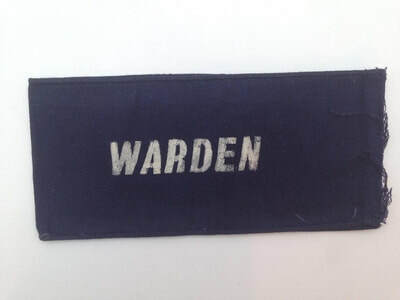 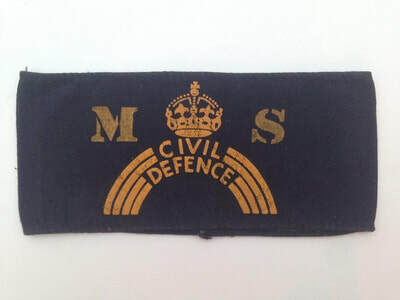 WW2 Shelter Marshal Armband - Yellow on Blue. 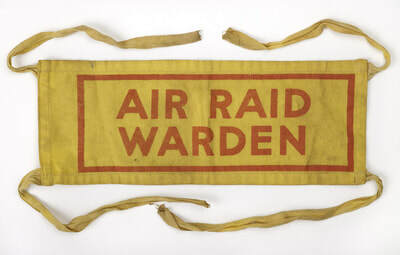 Shelter Marshal (in helmet marked SM) in an air raid shelter, London 1940. 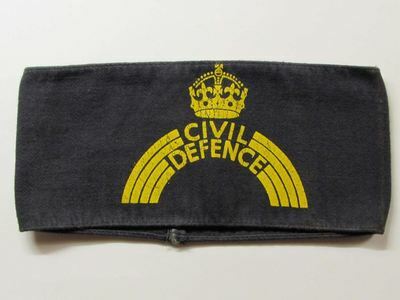 The most commonly seen version is ARP Pattern 54 dark blue armband featuring the gold coloured King's crown and CIVIL DEFENCE written within an arch (sometimes called the rainbow). 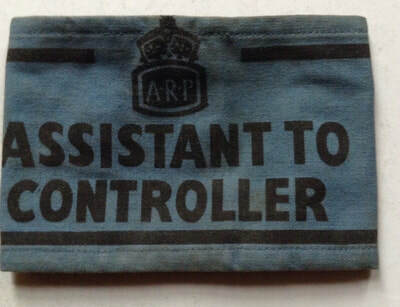 The embroidered/woven version of the CD armband are probably printed versions that have been embroidered by the owner. 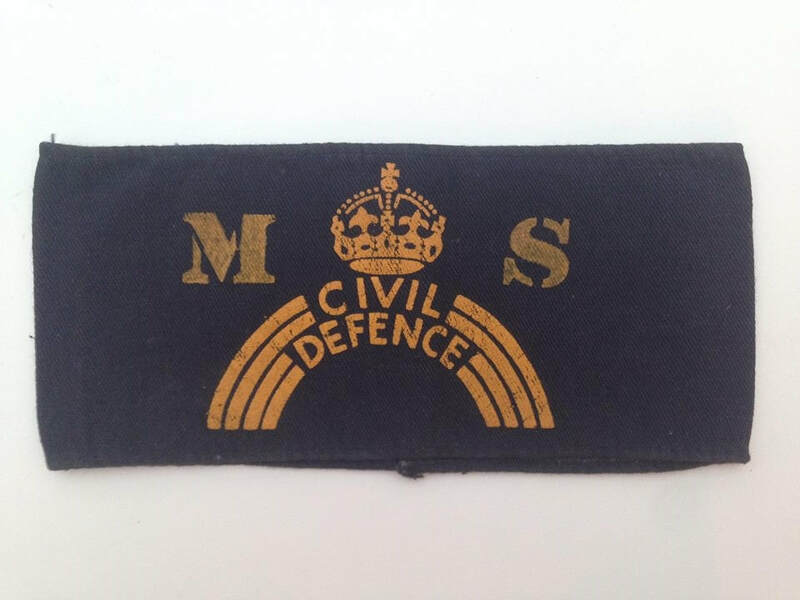 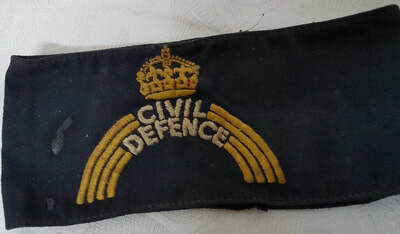 WW2 Civil Defence armband with white lettering. 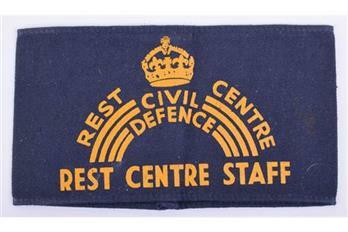 WW2 Civil Defence armband for Rest Centre staff. 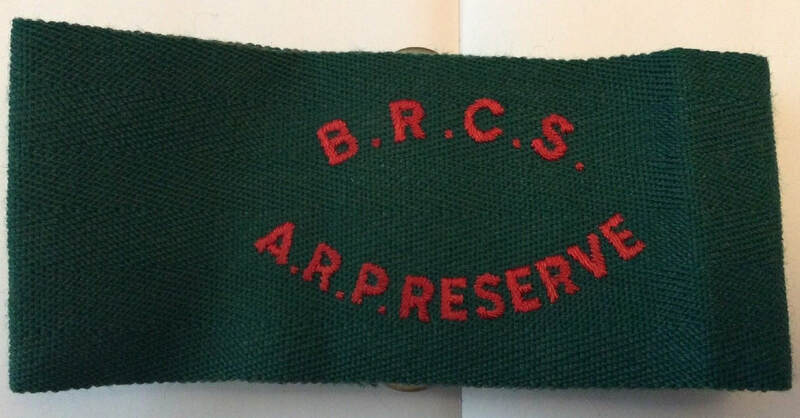 ARP Messengers carried air raid incident reports from the wardens to the control centres. 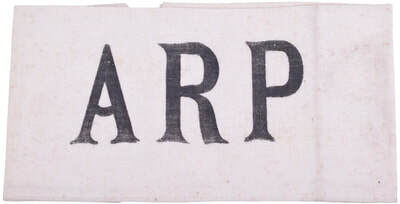 Especially important if telephone lines had been interrupted. 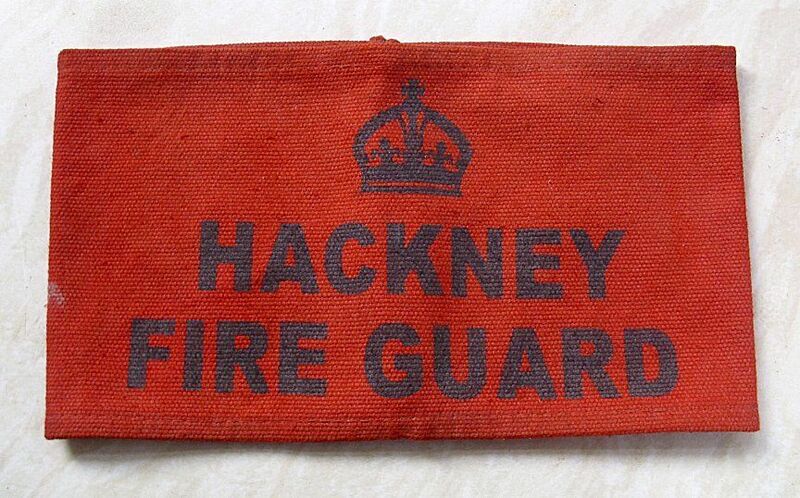 A very dangerous job often undertaken by teenagers. 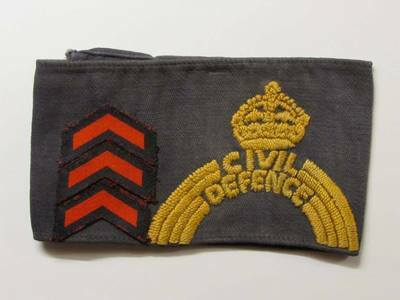 Below is a small collection of lesser seen armbands. 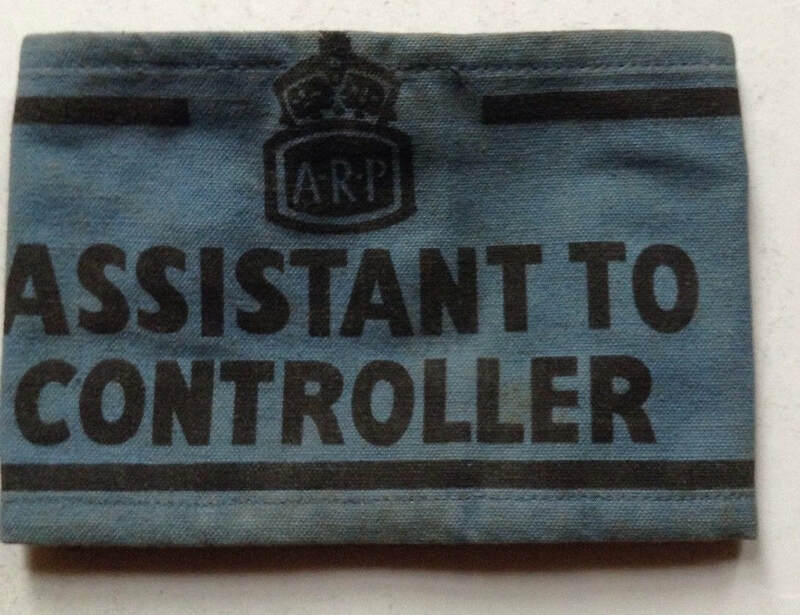 WW2 Civil Defence "Assistant to Controller" armband.